Often times we marketing people get wrapped up in our jobs. A line of copy, shade of color or layout of a web page becomes an enormously important detail. It must be right! You’d think we were saving lives. Most of the time we’re not saving lives. We’re increasing sales, promoting products and perfecting a press release. But sometimes, we get to be involved in a project that really can save lives. And then, those seemingly small details can make a difference. During the past few weeks Crystal and I had the opportunity to work with an organization called Save Your Victim. It’s a social movement to prevent drunk driving and to make sure everyone gets home safe. I’ve known about Save Your Victim for some time because Matt Cordle, who drove drunk, killed a man and then posted his video confession on YouTube, is the younger brother of one of my best friends. Matt’s video confession and sentencing were covered by nearly every national media outlet and no doubt was a controversial decision. Lots of people have opinions on why he made the video and the length of his sentence. I don’t really have an opinion on either of those topics, and frankly, I don’t think that should be what we take away from such a tragic event. What I do have an opinion on is the importance of spreading the message not to drink and drive. Through our work with Save Your Victim we learned that every day nearly 30 people die from a crash involving a drunk driver. I don’t know about you, but I would do whatever it takes to make sure one of those people isn’t my husband, or mother, father, sister, nephews, friends or neighbors. If through educating people on the impact of drinking and driving and encouraging people to share their story that number goes down to just 29 or 28 or 1 or none, then I’m in. That’s why we decided to take this journey with Save Your Victim. For an opportunity to help an organization that’s desperately trying to take a heartbreakingly awful situation and use it to prevent another tragedy. 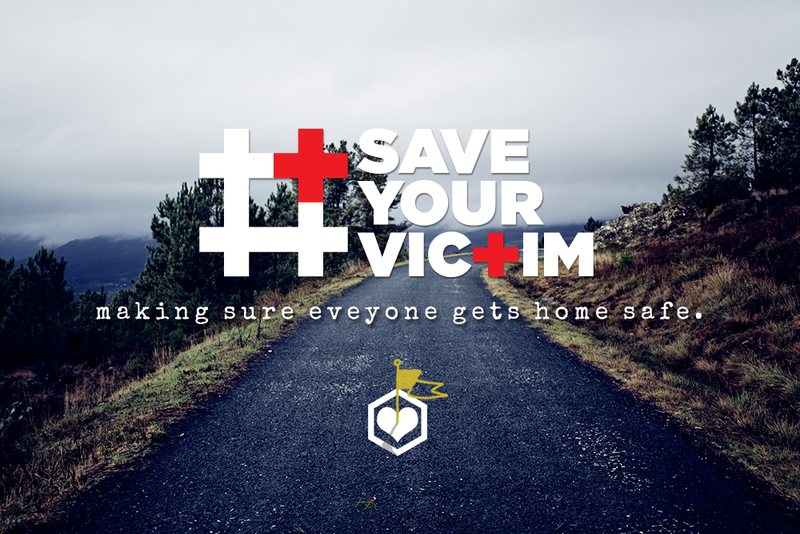 Building a web site is a small project compared to the enormous work ahead for Save Your Victim, but our hope is that the small details of the logo, page layout or line of copy will help people engage, spread the word and make a promise not to drink and drive.